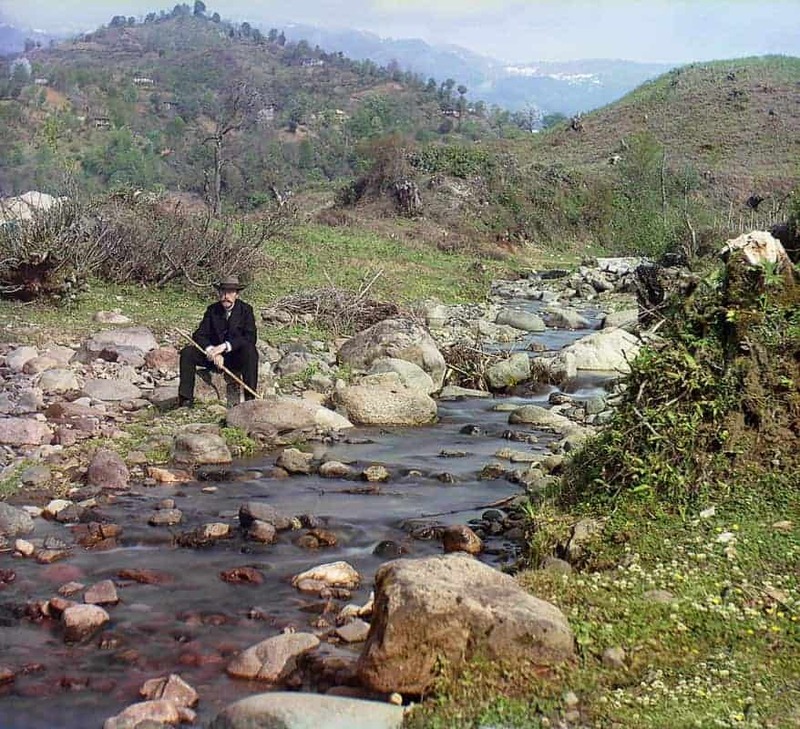 This photographic self-portrait was taken by the Karolitskhali river, near the Black Sea coast, Georgia, some time between 1907 and 1915. Tomorrow I’m off on another trip to Russia, visiting places new to me, including Torzhok – famed as the centre of gold-thread embroidery in Russia. Back in a couple of weeks… And then I’ll tell you who he is.